We are happy to observe the eclipses, as there is something magical, giant, and incontrollable in it. For a long period of time this phenomenon was considered as extremely important sign. To find out its meaning we need to go deeper into the functions of the Moon and the Sun. The Moon is associated with the memory, with our past, and during the eclipse we can resolve our inner questions that bothered us in past, or we can finally understand our mission. The changes will be reflected on our chart, look the complete situation in your birthchart. The Sun is considered to be the power, strength, goal, and self-expression. During the eclipse we may doubt these features in us and\or may become weaker or more sensitive. Don't forget that eclipse itself is a very strong celestial phenomenon. Solar eclipse is a symbol of the beginning in your life, while the eclipse of the Moon is a time of self-revelation and the harmonizing of soul and body. These periods often show us that we need to change something as inside, so outside. Every year we have 4 eclipses, 2 solar and lunar. Interesting thing to consider is the duration of the effect after the eclipse. Usually the strongest period of its influence is during the month when it appeared. However, the influence of the eclipse extends until the next eclipse occurs. Also, you need to observe the planetary situation around the eclipse. For example, following our examples from 1994, the eclipse took place on May 10th at 20 degrees Taurus and again the strength of this eclipse was renewed again on the 20th of June, when the transiting Mars crossed the point of this degree. The eclipses are fully predictable; however they are influenced by the nodes of the Moon. The nodes are the points on the Moon's orbit , if it is expanded on a platitude, which cross solar orbit. The ephemeris writes the North Node of the Moon and the South is directly the opposite 180 degrees. The nodes move backward through the plane of ecliptic around 3 minutes a day. The nodes need a little bit less than 19 years to make the full circle through the zodiac. Hindu astrology is tightly connected with lunar nodes, as it bears strong symbolic meaning. The North Node of the Moon is titled 'the Dragon's Head' and the Southern Node of the Moon - 'the Dragon's Tail'. They create the axis in the birthchart and symbolize the breaking moments in the life of the individual, inner issues, challenges and extremely important events in life. The Nodes of the Moon finish one cycle and start another at the ages of 19, 38, 56 and 75, and the turns of the fate usually occur at abovementioned periods. 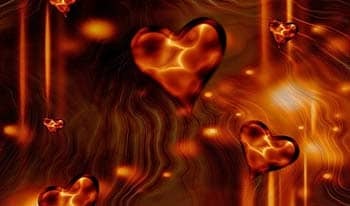 The topics of this article are interrelated, and lunations, nodes and eclipses will give you deeper insight of astrological connectivity and will be useful for your self-analysis and birthchart. They are quite small methods of investigation and observation, but they give us broader view on how the Moon influences us. Read more, use all the information that is accessible to you, compare and analyze it. Don't forget to follow the events as in your life, so the worldwide events and compare the information from the birth chart. You will have broader perspective on everything going on around. 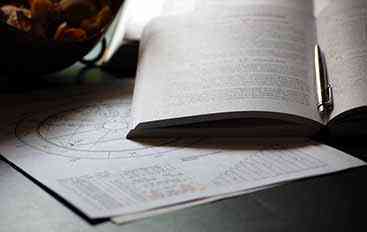 Every astrologer chooses the most suitable way to use eclipse cycles in their work. The cycles are very useful when it comes to the foretelling of the events globally and in individual analysis of the birthchart to find some points to pay attention to, for example prenatal eclipse, used to determine the location of the solar eclipse before someone's birth. Transiting lunation cycle starts from the New Moon every month and completes the cycle every month. 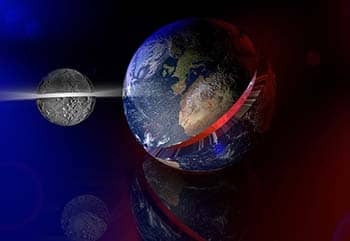 The cycle of New Moon to the Full Moon appears every month, but sometimes, when some astronomical events occur at the same time with lunation we observe an eclipse.